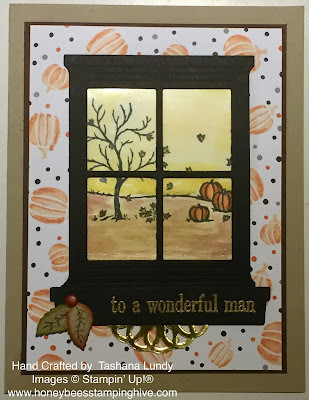 I was inspired by a card on Pinterest for todays project. I made this card for one of my uncles. His birthday was earlier this month. I used some new Holiday items and some Retired items to make this card. I love the way it turned out. Sorry about the dark photo. I had to snap a quick picture before I put it in the mail.